A powerful novel set at the end of World War II about one woman and her family's struggle for survival. The thrust of this epic novel occurs in the spring of 1945, during an event known in Germany as Die Flucht, or The Flight, when some 12 million Eastern European ethnic-Germans fled their ancestral homes to escape the advancing Soviet Army. 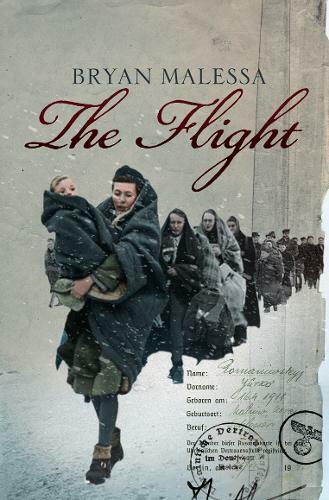 `The Flight' tells the story of Ida, a mother who attempts to take her children from their village in East Prussia to the assumed safety of Berlin. Travelling by foot, boat and rail across enemy lines, she quickly discovers that their survival is dependent on her will to save them, and on overriding the silent tragedies they will face during the journey west. Ida's is a terrifying passage, soaked with a bleak sadness, but her quiet bravery and sorrowful resilience in the face of the depravity of war is captivating. Told with clarity and beauty, in a remarkably understated way, `The Flight' is a captivating novel of authenticity and power, which opens up a chapter of World War II long overlooked.